Laura Muir ramped up her preparations for Glasgow 2019 by breaking the Scottish 800m indoor record on Wednesday evening. 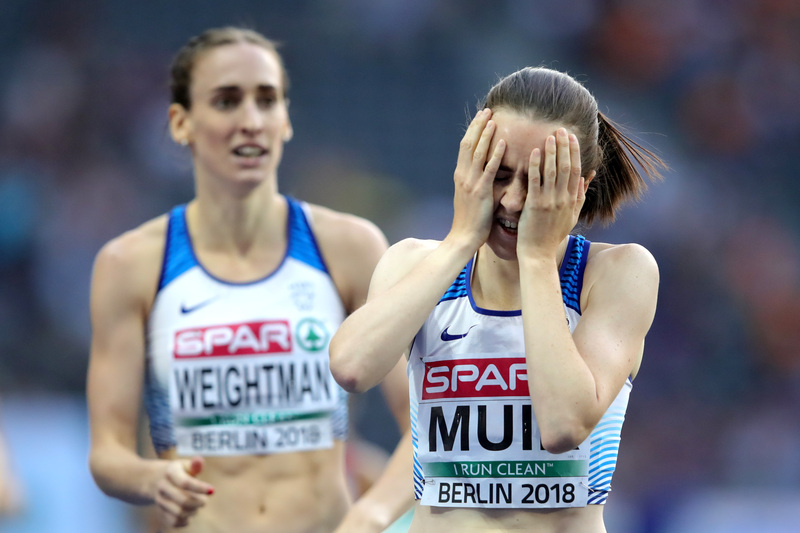 Stepping down to the shorter distance at an IAAF World Indoor Tour event in Poland, middle-distance specialist Muir clocked 1:59.50 to finish a narrow second behind Ethiopia’s Habitam Alemu and break her own national record. The Glasgow 2019 ambassador, who is also the reigning 1500m and 3000m European indoor champion, now sits joint-fourth on the UK all-time rankings following the impressive performance in Torun. Next up for Muir is this weekend’s Spar British Indoor Athletics Championships, as she builds up her fitness ahead of a planned title defence at her home games next month. On a stellar night for European athletes in Poland, a host of other stars made their mark, including sprinters Ewa Swoboda and Pavel Maslak and hurdler Orlando Ortega. World-leader Swoboda defied a bout of sickness to win the 60m in 7.15, while Maslak – bidding to make it four straight EAIC titles – delivered a commanding performance to take the 400m in 46.19. And with the business end of the indoor season now approaching, Olympic silver medalist Ortega powered to a season’s best of 7.55 in the 60m hurdles. Positive displays across the board confirming that Europe’s best are ready to take Glasgow by storm next month.